There were some astonishing outbursts of dissatisfaction with Gary Caldwell’s management on Tuesday night as Latics were held to a 2-2 draw at home to Millwall. Some people in the West Stand showed their frustration during the game with vitriolic attacks on the manager. These verbal attacks really do beggar belief. They are unreasonable and take no account of the constraints that Caldwell is currently working under. Fans pay their money and have the right to express their opinions but some just don’t see the bigger picture. Caldwell has had a major rebuilding job at the club following a series of disastrous managerial appointments and he has had to bring in 20 new players in the summer. He has only been in post for six months but he has already had a lot to contend with. This is his first job as a manager and he has had to learn the ropes while under tremendous pressure to succeed. Chairman David Sharpe’s unfortunate ‘100 points’ statement certainly didn’t help his cause. Caldwell has had to revamp the club, change the previous style of play and get back to the type of football that was so successful under Roberto Martinez. The early part of this season has been characterised by a long list of injured players. Captain Craig Morgan, Vice-captain Jason Pearce, Will Grigg, Craig Davies, Francisco Junior, Haris Vuckic, Kevin McNaughton, Don Cowie, Grant Holt and Shaq Coulthirst have all been out for lengthy periods. Latics are a work in progress and the fans need to be patient. The team will inevitably face difficulties when they have so many experienced players on the treatment table for long periods. However, the youngsters who have had to come in have generally done a good job and maintained a position in mid-table. Despite the negative criticism by some fans, Latics new squad of players have done well, are still unbeaten at home and within touching distance of the play-off zone. If they can get the experienced players back and fit, the prospects for a move up the table look promising. The fans that vent their anger at Gary Caldwell really ought to take a step back, consider the progress being made and support their team rather than constantly berating them. This article was first published in the 12th Man column for the Wigan Evening Post on Friday 2nd October 2015. 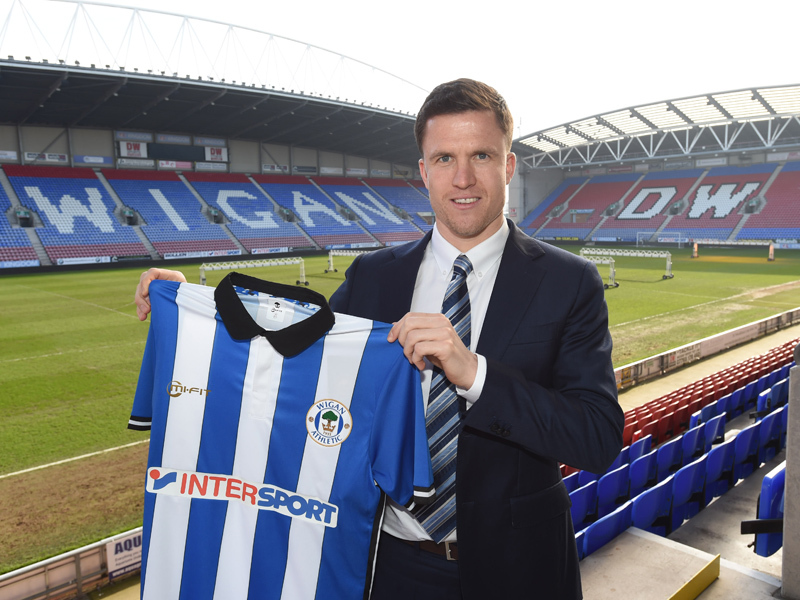 This entry was posted in Gary Caldwell, League One, Wigan Athletic and tagged Gary Caldwell, League One, Wigan Athletic. Bookmark the permalink. Thanks Barry. I think we are moving in the right direction under Caldwell. Just don’t want the whingers to undermine the good progress we are making. Ian, I see that you have picked up, also, on some of the vibes emanating from some of the many forums/boards around. However, after reading some of the comments there too, I do feel that there are questions to be answered. You said: “They are unreasonable and take no account of the constraints that Caldwell is currently working under”. What exactly are those constraints, in your opinion. He has got rid of the deadwood, he has brought into the team the second highest number of players in the league and he has 10 games, this season, under his belt. There should be no constraints at all as far as I can see…at this stage everything should be in place because if it isn’t then again he leaves himself open to criticism for not being ‘on the ball’. I certainly do not condone the direct verbal attacks on him at the match for not only is it bl00dy bad manners but it also exacerbates what could be an already difficult situation for him. But, they are his team, he has brought them all into the club, he is responsible for training them, he has selected the team for the day so surely there can be no outside influences affecting how some people see the teams performance…but there are. I don’t subscribe to this “we are a work in progress” routine that apologists roll out everytime the team is criticized, yes we are a new (and young team) however, everyone connected with the club, players, medical and training staff should all be professionals at the highest level and as such we ‘should’ be better organised than what some people perceive us to be. As for me, I think we are doing OK, just OK. There is room for improvement in a variety of areas but our home record is ‘just about’ making up for that. So to wrap it up, I believe some still have a right to complain if its not going as they would have liked it to have gone, however, there is no excuse whatsoever for the neanderthal behaviour of some who take it just a little too personal to the manager. By constraints I’m referring to the 10 players who have been injured for a significant part of this season. I think at least six of those players would’ve been in the starting line-up for Tuesday night’s game but some of our fans take no account of this. As I said in my article, fans have a right to express an opinion, but some of the abuse that Gary Caldwell has received just beggars belief. Lot of uncertainty in stopping rot until stability is restored I don’t think we will get promotion this year but I hope we can you only need to look at other teams relegated who struggled after wards I.